Free up time and resources by placing your bookkeeping in Conroe, TX, in the competent hands of an experienced professional. Request Pierson & Pierson, CPA'S PLLC for personalized services from a bookkeeper that accommodates the needs of your growing company. Providing tax ready bookkeeping services, our professionals handle payroll services and financial reporting. The leader of our firm has more than 28 years of accounting experience in serving Conroe, Houston, The Woodlands, Spring, and Kingwood, Texas.. We provide accurate and affordable service, as well as discounts for military members, firefighters, and police officers. Rely on our accounting firm to keep your books ever ready for taxes. For us, tax season isn't only in the month of April. We perform tasks that involve taxes all year-round. For businesses, payroll taxes are taken out of employee checks every two weeks and tax payments are made every quarter. However, it is the day-to-day bookkeeping tasks we do that give you continuous access to tax data. 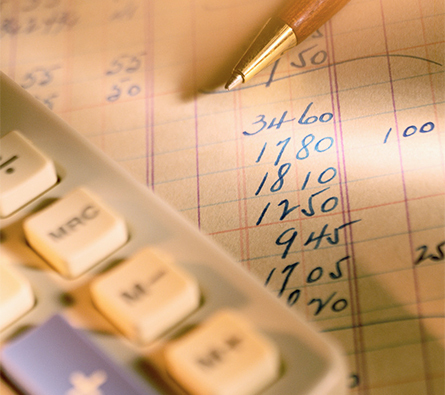 Reduce your operating expenses by letting our CPA firm handle your bookkeeping for you. Rather than having a staff of bookkeepers in-house, we recommend that you outsource and save money. Our professionals keep accurate records so you have the business financials you need to make key decisions about the direction of your company. Schedule an appointment to find out what our bookkeepers can do for you. Contact us today to save time and money by allowing us to do the bookkeeping for your company. We provide tax preparation and bookkeeping, as well as financial and accounting services for residents of Conroe, Houston, The Woodlands, Spring, Tomball, Montgomery, Magnolia and Kingwood, Texas.